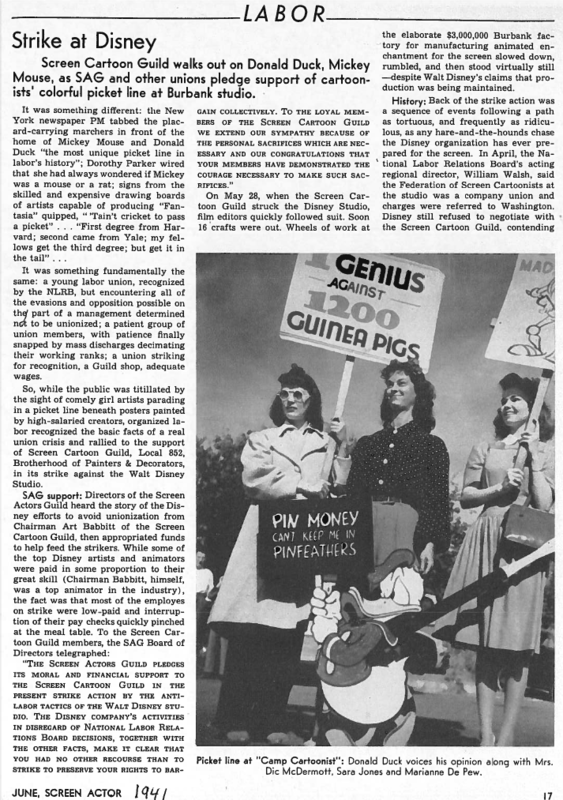 In the early days of the Disney strike, (probably within two days of the first picket,) chairman of the Screen Cartoonists Guild Art Babbitt, with Disney striker John McLeish, contacted the Screen Actors Guild and petitioned the SAG executive board for their support. SAG was one of the first Hollywood unions, dating back to 1933, and by 1941 included actors Robert Montgomery, Aline McMahon and John Garfield, as well as executive board member Ronald Reagan. 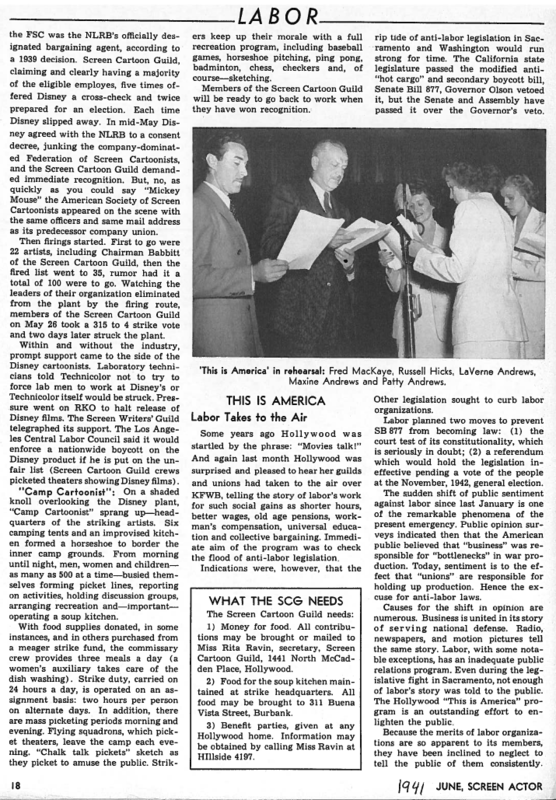 This entry was posted in 1941: The Disney Strike, Disney, Hollywood, Labor and tagged Disney Strike, John McLeish, SAG. Bookmark the permalink.